The Africa Green Revolution Forum - AGRF2018 - is the biggest forum on the continent. It brings together 2,800 participants and is held in Kigali, Rwanda, from 5th to 8th September 2018. The AGRF2018 served as a platform where heads of state, representatives from governments, the private sector, development partners, donors, researchers, civil society and farmer's organisations met and shared their insights, knowledge and experiences to advance rural transformation in Africa. Innovative approaches, practices and technologies have been shared as well as partnerships and policy engagement/dialogue. It was also a platform for donors and receivers that facilitates the connection with various stakeholders from various arenas. The International Fund for Agriculture Development (IFAD) was represented at AGRF2018 at a very senior level, organized a side event hosted by the Integrated approach programme on fostering sustainability and resilience for food security in sub-Sahara Africa (IAP-FS) with a focus on the Upper Tana Nairobi Water Fund (UTNWF) as a tested public-private-partnership. The side-event highlighted innovative approaches including large-scale payments for ecosystem services in Kenya which benefit urban water users including beverage companies and power generation firms who are willing to invest in rural environments, creating win-win opportunities. Emerging lessons from the UTNWF initiative, which has a budget of approximately US$60 million and targets 21,000 households directly ( with a further 100,000 households indirectly) informed other development actors, countries, businesses of insights and potential collaborative opportunities in building resilience of the smallholder farming enterprises in rural areas. The IAP-FS is a GEF funded and multi-agency programme aiming to promote sustainable management of natural resources: land, soil, water, vegetation and genetic resources. All the assets that underpin food security and resilience. The programme covers twelve dry-land countries in sub-Sahara Africa. The event held on September 5th, 2018 from 14:30 to 16:30 was moderated by IFAD's Associate Vice-President Donal Brown and registered more than 300 participants from different development arena. 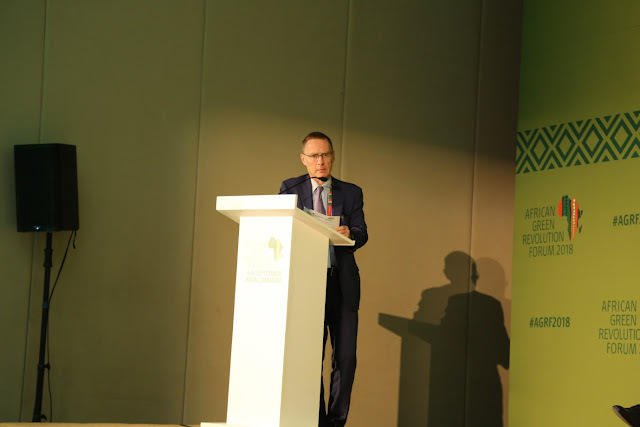 This keynote speech focused on public-private-partnerships (PPPs) explaining the most effective business case and frameworks in supporting smallholders resilience in Africa. It was delivered by Munhamo Chisvo, the Chief Executive Officer and Head of Mission at the Food, Agriculture and Natural Resources Policy Analysis Network (FANRPAN). His presentation highlighted the progress made by African countries in achieving their commitment to the Malabo declaration, in investing in agriculture, reducing poverty through inclusive agriculture growth and transformation, and enhancing resilience of livelihood and production systems to climate vulnerability. From the African 2018 Inaugural Biennial Review Report, specific recommendations have been made for creating a policy environment for private investments, boosting regional trade for agricultural commodities, increasing local processing of key agricultural products and their respective value chains, stimulating local and regional private sector investments in agriculture through a conducive business environment that attracts both domestic and foreign investments in the agriculture sector. Regarding the PPPs framework, opportunities in various stages of agricultural systems such as primary production, post-harvest, market and utilization/consumption were identified. The future direction of PPPs needs conducive policy environments, guiding principles with obligations and risk-sharing mechanisms for more PPPs in financing climate-resilient production and processing to transform African agriculture. After a presentation of the UTNWF initiative by Jonky Tenou, the Task Manager of IAP-FS programme, a panel discussion ensued, talking about how to conserve the Upper Tana catchment by improving water quality and quantity, enhancing ecosystem services, food security and livelihoods. There was a focus on the research of ways and means to advance PPPs which is indispensable for agriculture transformation in Africa. Hand-on experiences and strategies from the Alliance for a Green Revolution in Africa (AGRA), International Union for Conservation of Nature (IUCN) and Nairobi City Water and Sewerage Company (NCWSC) were also shared with the audience respectively by Dr. Joe DeVries, Vice-President for programme and innovation at AGRA, Dr. Charles Karangwa, Regional coordinator, forest landscape restoration at IUCN and M. Philip Githinji, Production manager at NCWSC and board member of UTNW. (iii) Integrated and innovative approaches need to be scaled-up across the continent. 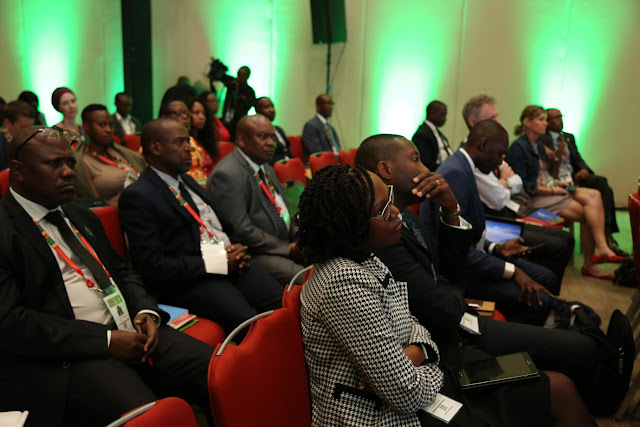 In general and regarding the IAP-FS objectives, the AGRF2018 has permitted the link/connection with a range of partners such as the African Union Commission and its regional initiatives, the private sector, including financial institutions, civil society organisations and former's associations operating in rural areas at national, regional and global levels who are relevant for the delivery of the programme. 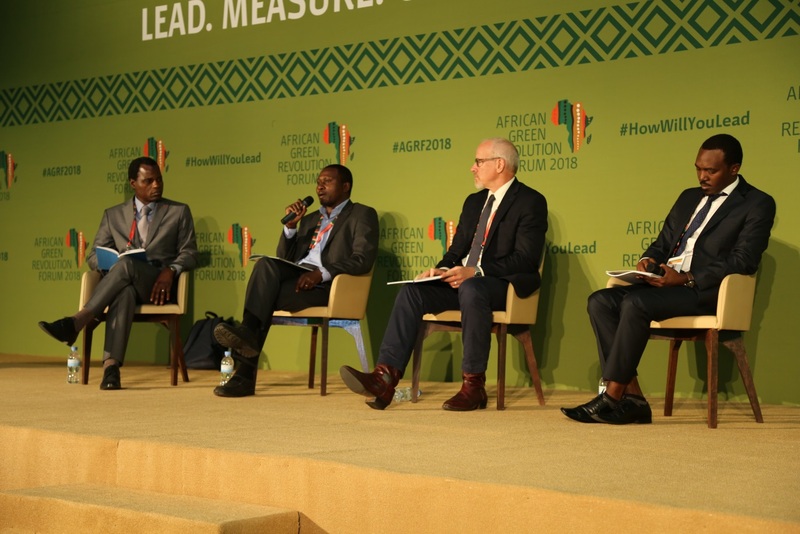 The AGRF2018 paved the way to further develop strong partnerships for implementation in an integrated approach in order to significantly influence policy directions for resilience, foods security and sustainable growth in sub-Sahara Africa. IFAD, alongside the GEF and IAP-FS partners (UNDP, FAO, UNEP, ICRAF, World Bank, Conservation International, AGRA and Biodiversity) will continue to support countries and regional platforms for effective continental agriculture transformation through sustainability management.